4 Bdrm Detached Dwellhouse. Reception hall. Cloakrm. Lounge/Dining rm on open plan. Dining kitch. Utility rm. Porch. 4 Bdrms. Bathrm. Galleried sitting rm (CT band - G). Garden. Garage. Parking. Fixed price £240,000 Entry by arr. Viewing 01888 562527. or contact solicitors. (EPC band - E). 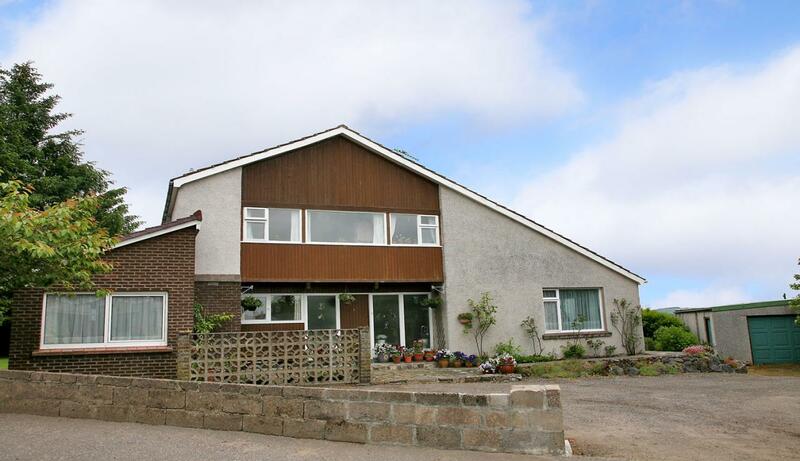 This substantial four bedroomed detached dwellinghouse is located within a prime, convenient location of Turriff and stands within extensive gardens which are well screened from the road. 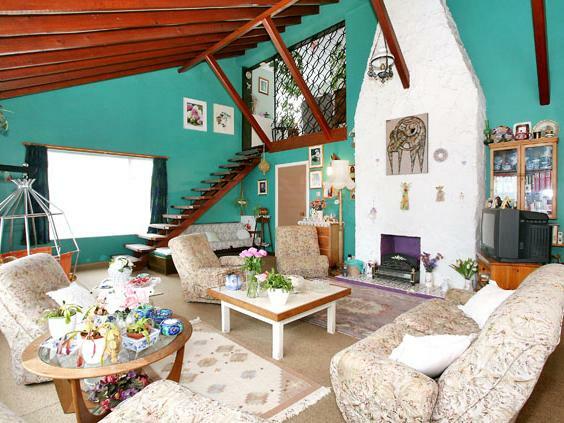 The property was individually constructed in the late 1960's and offers a wealth of accommodation throughout, which includes a most generous sized lounge with dining room on open plan and galleried public room above, a good sized dining kitchen, double bedroom four, three further double bedrooms, a most spacious family sized bathroom and handy cloakroom/w.c. A tarred driveway offers ample off-street parking and leads to the double garage. 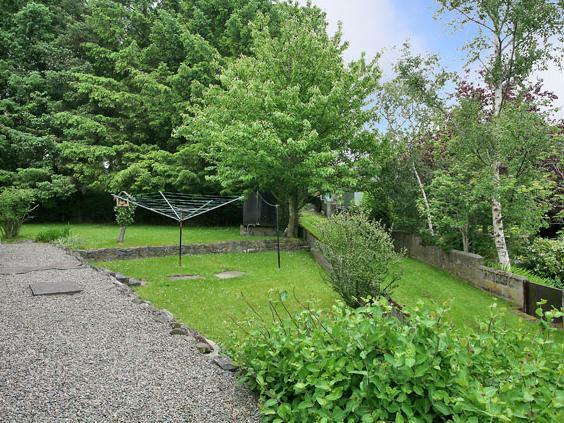 The sizeable gardens are planted with mature trees and hedging, offering considerable screening. 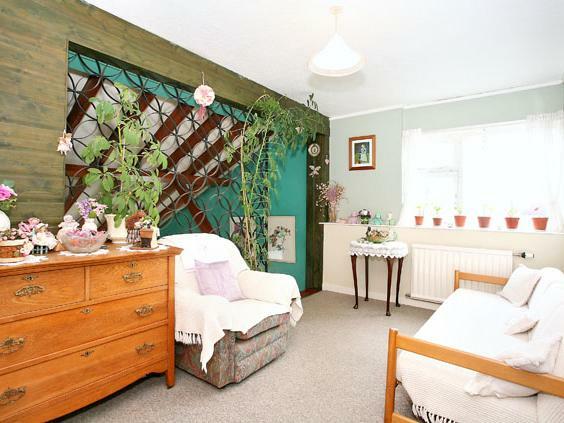 The property also benefits from double glazing, oil fired radiator central heating, and would ideally suit a family looking for a spacious home, convenient for the town centre and all its amenities. Reception Hall: 21'8" x 6'2" [5.68m x 1.89m] approx. A bright hall, located to the front and giving access to most of the ground floor accommodation. Shelved storage cupboard. Cloakroom/W.C. : Fitted with a white w.c. Window to front. Lounge/Dining Room: 28'10" x 17'2" [8.10m x 5.23m] approx. This well appointed room offers a most bright and airy ambiance and large triple aspect picture windows ensures ample natural light floods in to the room. Offering ample space for family living, it features an extra height decorative beamed ceiling and an open tread staircase leads to the galleried public room above. A full height chimney breast with tiled hearth, currently houses an electric coal effect fire. Double Bedroom 4: 18'7" x 13'8" [5.67m x 4.18m] approx. A spacious, versatile room with picture window to front, finished in neutral tones with extra height decorative beamed ceiling. Dining Kitchen: 18'2" x 11'0" [5.55m x 3.36m] approx. A spacious room with central breakfast bar, fitted with ample storage cabinets at wall, base and drawer level and incorporating runs of co-ordinating worktops, a stainless steel sink and tiled splashbacks. Vinyl flooring. Window to rear. Xpelair. The built-in ceramic hob, double oven and extractor hood will remain. Utility Room: A handy room looking out across the rear, fitted with wall mounted storage cabinets and a Belfast sink. Plumbed for automatic washing machine and space for tumble dryer. Deep walk-in storage cupboard. 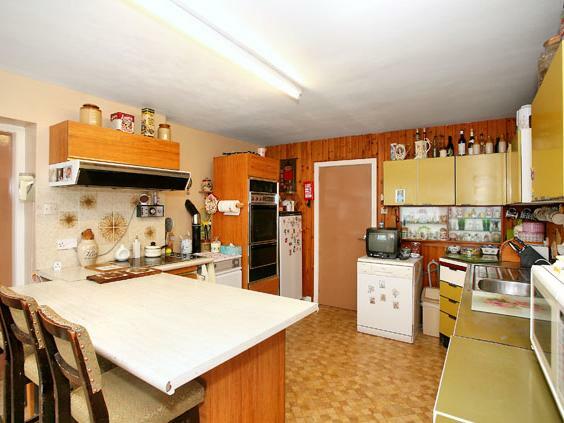 Back Porch: Gives access to the rear garden and is fitted with a shelved cupboard. Matwell. Double Bedroom 3: 12'8" x 11'7" [3.88m x 3.54m] approx. 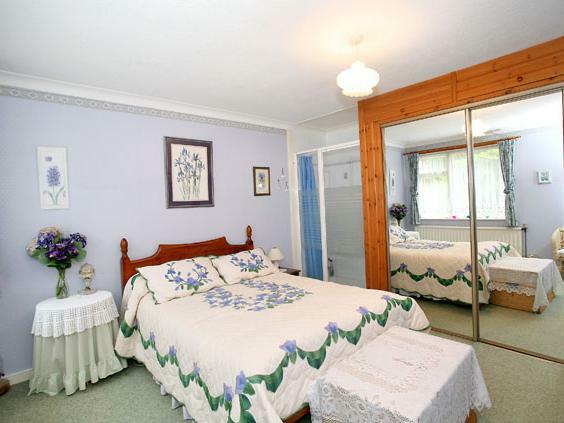 A most spacious room with window to side and built-in mirrored door wardrobe. This room is fitted with a wash hand basin and fully tiled shower cabinet with glazed shower door. Galleried Public Room: 14'1" x 8'4" [4.29m x 2.56m] approx. This well appointed galleried sitting area offers an outlook across the front and gives access to the remainder of the accommodation on the first floor. Fitted with a built-in airing cupboard and shelved storage cupboard. Master Bedroom: 14'8" x 13'4" [4.49m x 4.06m] approx. 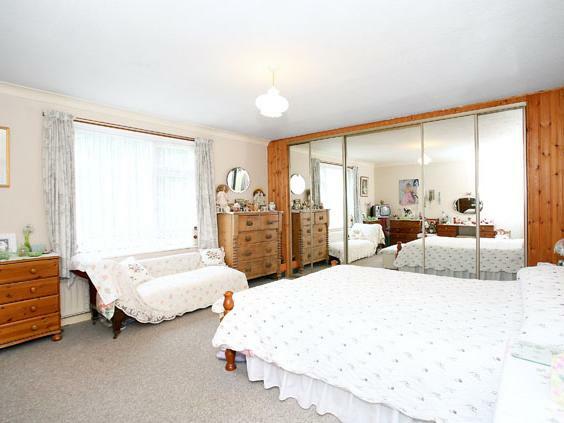 A generously proportioned double bedroom with wall to wall built-in mirrored door wardrobes. This room offers an outlook across the front. Double Bedroom 2: 16'8" x 11'1" [5.08m x 3.37m] approx. A bright and generously proportioned room with extra large picture window to front. Built-in wardrobe. Bathroom: 14'0" x 10'9" [4.29m x 3.29m] approx. 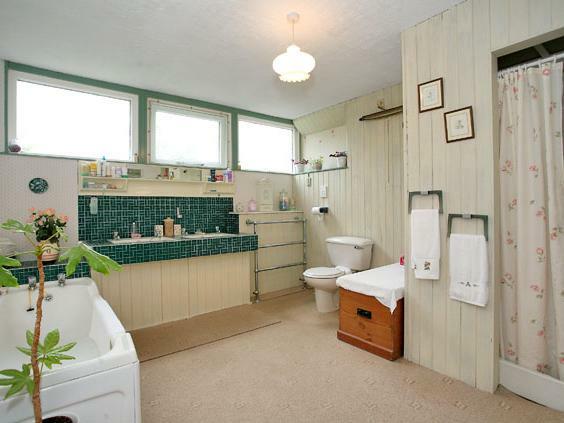 An exceptionally spacious, family sized bathroom with wall to wall windows to rear. It is fitted with a white suite and incorporates twin sinks with tiled surrounds. A separate tiled shower cabinet houses a Mira shower. Heated towel rail. Double Garage: Spacious double garage with up and over door, fitted with light and incorporating an inspection pit. Gardens: The established gardens which surround the property are laid partly to lawn and are well planted with an abundance of mature trees and shrubs which offer considerable screening. An extensive tarred driveway offers ample off-road parking and gives access to the double garage. Paved and gravelled walkways take you round the gardens which are on two levels, with the rear garden incorporating a drying green and rotary clothes dryer. Location: Turriff is a thriving town which enjoys a host of amenities including playgroups, nursery, primary and secondary schooling. Recreational outlets include a golf course, swimming pool, sports centre and the 'Haughs' where the annual 'Turriff Show' is held. The town provides a good range of shops, banks, hotels, library, health centre and regular bus links provide transport to the North and South of the town. Notes: Double glazing. Oil fired radiator central heating. All floor coverings, curtains, blinds and most light fittings are to remain. The date of entry is material and offers subject to survey, subject to finance or subject to the sale of the purchaser's own property will not be considered.